VATICAN CITY — The United States and North Korea must return to the negotiating table and focus on improving the quality of life of their people rather than on the might of their advanced weaponry, said a former Vatican diplomat. In an interview with Vatican Radio Aug. 9, Archbishop Silvano M. Tomasi, former Vatican representative to U.N. agencies in Geneva, said that “instead of building walls and creating dissidence or admitting the possibility of recourse to violence,” both countries must have a constructive approach that benefits the people. “To arrive at this point, we need to change, in a lot of ways, the public culture and insist and educate that the way forward is not the way of having the latest military technology, but having an approach of inclusion and participation in building the common good of the global human family,” the archbishop said. 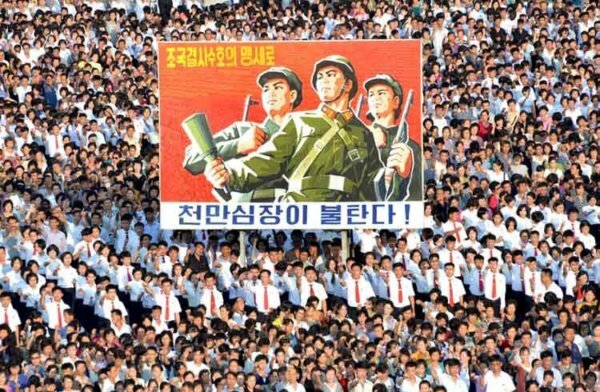 North Korea’s nuclear ambitions have led to further isolation and sanctioning by the international community, leading to a war of words with the United States. Angered by the threat, the North Korean government, led by dictator Kim Jong Un, said it is considering firing nuclear-armed missiles at Guam, a U.S. territory in the Pacific and home to two U.S. military bases. The nuclear threat North Korea poses to the region “creates serious difficulties,” Archbishop Tomasi said. However, the U.S. and its allies in the region must continue the path toward an inclusive negotiated solution that places the common good first. “As the Holy Father insists: The way forward is that of dialogue and of including everyone in negotiating — accommodating as far as possible — the participation of all the populations and their governments in the search of the common good and of ways of improving the quality of life of the people,” the archbishop told Vatican Radio. The threat of nuclear war has also stoked concerns in South Korea, which has technically been at war with its northern neighbor since fighting ended in 1953. In Seoul, South Korea, in a message to Catholics for the Aug. 15 feast of the Assumption of the Blessed Virgin Mary, Cardinal Andrew Yeom Soo-jung asked the faithful to pray for Mary’s intercession for peace in the Korean peninsula. “For the safety and the future of all Koreans, North Korea should come to the discussion table and abandon their nuclear weapons,” he said.